This is the first article in a 2-part series on common mistakes I see merchants make when negotiating rates and fees or analyzing the offers from different credit-card-processing providers. 1. Merchants assume the terminology used by competing salespeople is the same. Two salespeople can offer the same rate — say 0.10 percent + $0.10 over interchange rates and pass-through fees. This is called “interchange plus” pricing. Despite offering the same rate and the same fees, provider A can cost the merchant thousands of dollars more per year than provider B. 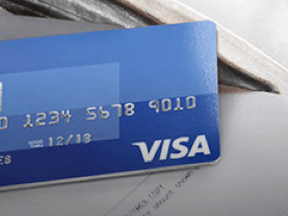 The reason is that there are no enforced industry standards on the definition of “interchange-plus pricing.” When some salespeople say “interchange plus,” they mean the markup they are offering (say 0.10 percent + $0.10) is in addition to the interchange rates and fees published by the card companies — Visa, MasterCard, American Express, Discover. This is the definition I counsel merchants to use. Moreover, another salesperson may say “interchange plus” and it means the fees charged by the card companies are passed through to the merchant but the interchange rates can be subject to surcharges by the provider. Still other salespeople may say “interchange plus” and then charge seemingly random fees — not charged by card companies — like “Visa Handling Fee.” These fees look like card company fees but are actually surcharges by the provider. The same lack of standards also applies to tiered pricing plans. There are many variations of tiered pricing. However, the most common is the 3-tier plan, with tier 1 being the Qualified rate, tier 2 being the Mid-qualified rate, and tier 3 being the Non-qualified rate. Two salespeople can offer what seems to be the same 3-tiered pricing plan — say a Qualified rate of 1.5 percent, a Mid-qualified rate of 2.5 percent, and a Non-qualified rate of 3.5 percent. However, Provider A can cost the merchant thousands of dollars more per year than Provider B because there are no enforced standards that define the card types in each tier. For example, a regulated debit card (i.e., a debit card issued by a large bank and subject to maximum interchange rates) could be in the Qualified rate for one provider and in the Non-qualified rate for the other provider. Also, one plan may include the card company fees in the tiered rates and the other may not. I mention the tiered rate plan only to illustrate pricing discrepancies. In fact, I dislike tiered pricing. I believe it exists to benefit providers, not merchants. 2. Merchants don’t fully understand the cost to exit the contract. Never sign a contract or pricing addendum until you have the terms and conditions in your hands (terms and conditions are generally in a separate document and not on the contract) and you fully understand the maximum penalty for terminating the contract early. Actually read the termination policy versus just asking the salesperson. Most salespeople have never read their own terms and conditions and those representing providers with very punitive early-termination fese may unknowingly miscommunicate the facts. Many providers do not have an early termination fee. 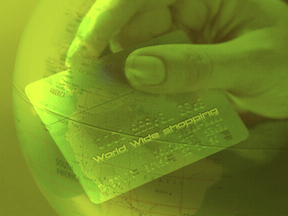 They believe that their processing cost and service will maintain the merchant relationship. Other providers may have a fixed early termination fee of, say, $250. In many cases, a provider will waive this type of termination fee, although the salesperson may be reluctant to offer the waiver as he may lose his bonus or commission. Merchants should avoid providers with contracts that include liquidated damages on early termination. Merchants should also know the length of the contract, the renewal policy, if termination is required in writing, and the minimum number of days (generally 30 to 90) before the expiration date in which the termination notice must be given to avoid a penalty. 3. “Match the rate” does not mean “match the cost.” Merchants often receive an offer from a competing salesperson and then ask their existing provider to match that offer. It’s a practice I don’t like because the competing salesperson may have spent a great deal of time and money to put forth an earnest savings analysis only to have the merchant use it for his own benefit. I also don’t like this practice because it can be somewhat of a game for the existing provider, especially when the merchant is currently on a tiered pricing plan and wants the provider to match salesperson’s interchange plus pricing. Asking the existing provider to match the rate is a bad practice for all the reasons mentioned in point 1., above. It’s also a bad practice because many providers surreptitiously add rates and fees to the new interchange plus pricing that were supposedly included in the tiered pricing.